Educational platforms are very important digital tools.These clever pieces of software are usually cloud based and are often referred to as learning management systems (LMS) or learning content management systems (LCMS). They act as educational and administrative hubs for the schools and course providers who use them. Virtual Classrooms are one of the most visible ways that Educational Platforms can be used. In fact, this type of online learning space has become so popular that many people confuse virtual classrooms with educational platforms.Not all the educational platforms have integrated a Virtual Classroom. In reality, virtual classes are just one way that a Learning Management System can be used. How does virtual classroom integration work for students? Virtual Classrooms work by providing a cloud-based space for students and tutors to communicate within. They usually include communication tools such as video chat, audio chat and instant messaging tools. Virtual Classrooms also provide a home for learning resources and training exercises. 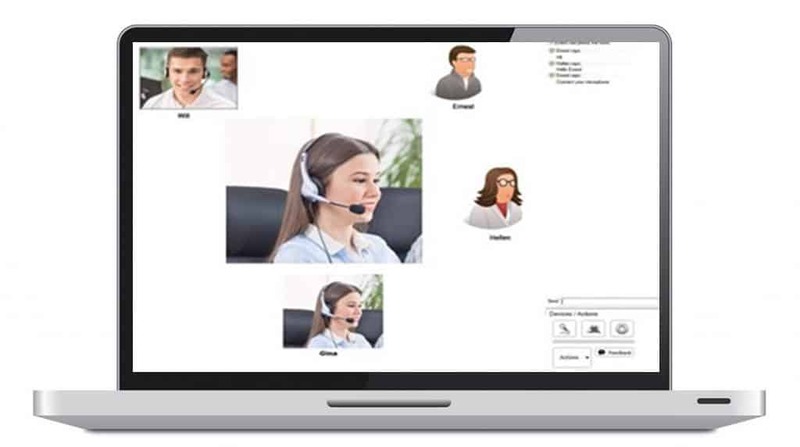 One of the major reasons why Virtual Classrooms are so popular with language schools is that they offer far more opportunities for students to practice spoken skills and pronunciation than most other methods. Students can log into the Virtual Classroom at any time of night or day from wherever they are. Once they’re online, they can choose to talk to and practice with any other fellow students who are also logged in, regardless of their class group, timezone or geographical location. This really is one of the major benefits of Educational Platforms: they take away a lot of the traditional boundaries of the classroom. Because educational platforms are cloud based, students don’t need to be on a physical campus in order to participate, and they won’t even need to download software directly to their computer. Instead, cloud software allows them to use the learning services on offer as much or as little as they like, from whatever digital device they have to hand. This includes laptops, tablets and smartphones. Virtual classrooms can also work alongside educational platforms to make expert tutors more accessible. No longer will students have to wait to scheduled class time in order to ask their tutor a question: in a virtual classroom they will be able to easily get in contact to address any issues as soon as they crop up. How does virtual classroom integration work for tutors? Training providers are able to use the tools provided by educational platforms to provide their students with all the necessary leaning resources they need. They can also use associated features within their learning management system to track when students are logging in, how much revision they are doing and how often they are making use of peer conversation opportunities. This information, and more, will all be available as part of the tracking and evaluation tools offered by the educational platform. With the LCMS,Tutors can also add automated assessments to this as they can choose to check out how their students are getting on whenever they choose. Because this can be done so quickly and effectively, tutors won’t even have to write assessment questions themselves if they don’t want to, it can be done as often as makes sense for each group of learners. This can be a really helpful way to use tracking and evaluation data to the group’s advantage and ensure that everyone is staying on track with their learning journey. It’s also worth noting that virtual classrooms work alongside the wider educational platform to allow tutors to make the learning experience more convenient for their students. Within the virtual classroom they can post video and audio content as well as images, text files and slides. This means that their students can choose to access and revisit content whenever they feel it would be helpful. Sound interesting? Why not request a free consultation to get started? Blended Learning: the Future of Language Schools?